SunEdison, Inc. will construct new solar plants in West Texas to supply the City of Georgetown with 150 megawatts of solar power for 25-years. The SunEdison solar plants will be interconnected in 2016, and will provide over 9,500 gigawatt-hours of clean energy to Georgetown through 2041, enough to power more than 24,000 homes a year for 25 years. Upon completion, SunEdison expects to offer this project for investment to TerraForm Power, Inc. (Nasdaq: TERP), a global owner and operator of clean energy power plants. This project will create close to 800 jobs in Texas during construction. "SunEdison is very excited to be working with Georgetown Utility Systems to provide their customers with 100% renewable, clean energy," said Paul Gaynor , Executive Vice President of North America Utility and Global Wind at SunEdison. " Georgetown is an exceptional city, and by going 100% renewable they will cut down on pollution, save water, and enjoy stable energy prices. They're able to accomplish all of this without spending a penny up front with SunEdison's power purchase agreement. 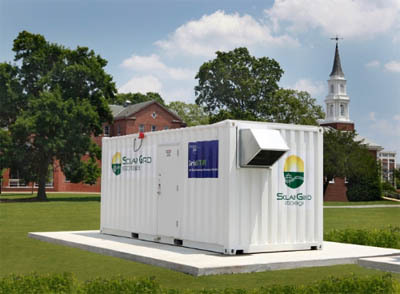 Georgetown is a model for other cities that hope to become powered by clean renewable energy."